Before starting work, Nick spent 3 years at Oxford studying politics, philosophy and economics and was awarded a first class degree. He then won a Kennedy Scholarship and spent 2 years at Harvard University in the US studying the practical application of public policy. Nick worked for a few years in Germany, Russia and Eastern Europe, helping state-owned industries prepare for private ownership. He then set up his business with a friend and spent over 5 years running one of the UK’s leading suppliers of paint brushes, rollers and decorating tools to the DIY industry. 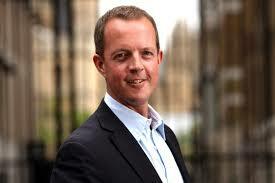 In 1998, Nick made his first venture into the political world and was elected as local councillor in London. There he was appointed the Chairman of the Housing Committee and succeeded in bringing down the number of people housed at huge cost in B&Bs because of the lack of permanent accommodation. Nick’s biggest achievement in politics so far, has been to set up and run Policy Exchange, which is now the largest and most influential policy research institute on the centre right. While he was its director, Policy Exchange devised policies to make police forces more accountable to local people, to expand the number of places in good schools and to give local communities incentives to build more houses. It also exposed the activities of Islamic extremists in some mosques in the UK and their effect on the attitudes of young British Muslims. The Coalition Government has adopted many of their ideas. He was appointed Planning Minister in October 2012 and in the 2014 re-shuffle Nick was moved to Minister of State for Skills.